Filling Christmas stockings can be either fun or stressful, depending on the gift ideas you have, to fill them. 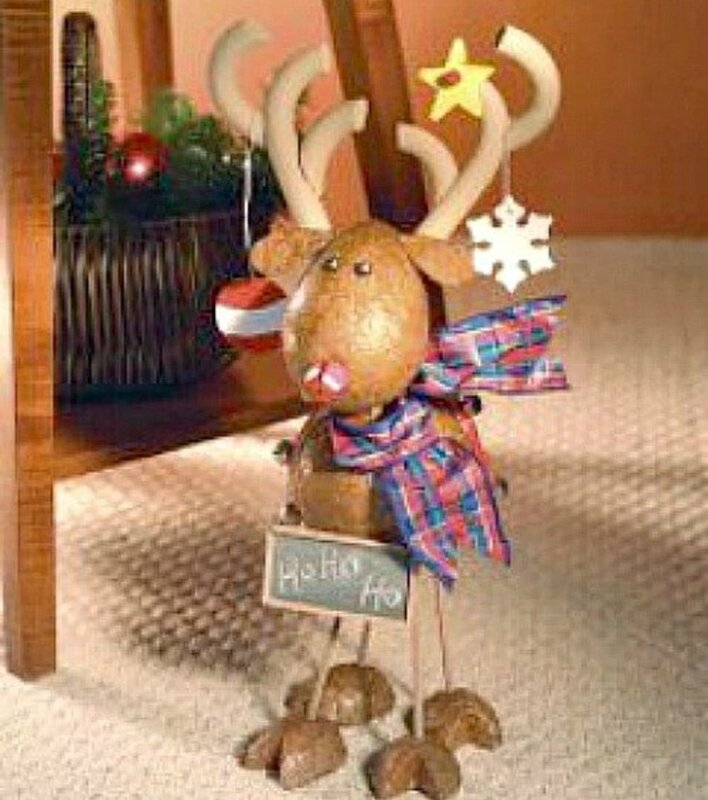 I did a Google search to find items that fit into the stockings and are useful or funny. I believe that you’ll enjoy making and giving these stocking stuffer gifts. 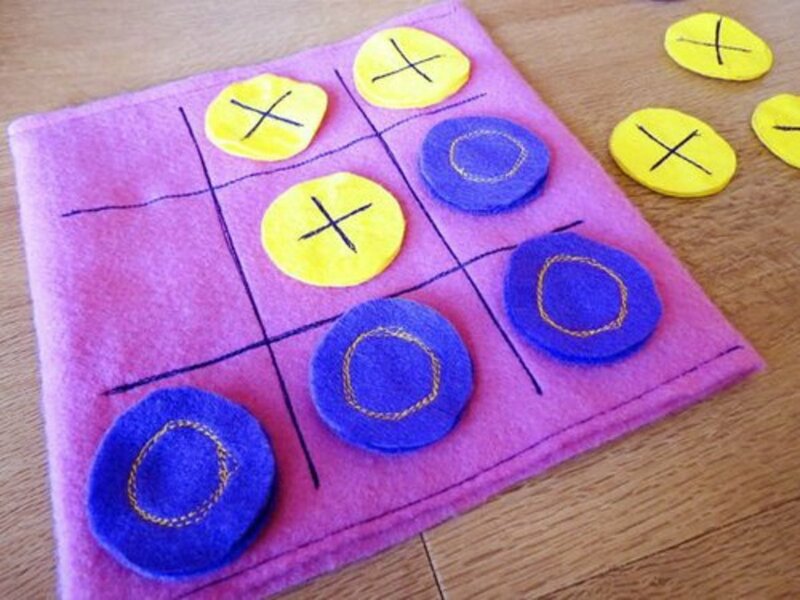 To make the Tic Tac Toe Travel Game shown above, go to the childhood 101 site for the instructions. A great stocking stuffer because it can be used as a gift for kids, teens, men and ladies. Find the tutorial for making these bath fizzies at Paging Fun Mums. You'll notice that this is a gift the kids can help make. These bitty booties are so simple to make and really cute tool. When you go to the HELLO Heather site you'll see the download button to get the pattern and directions and you'll see a lot of different ideas for decorating the booties. 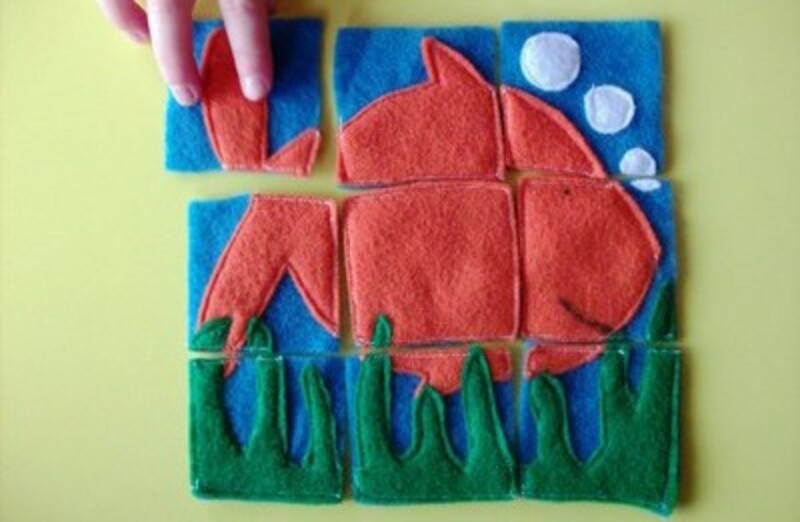 Even very little kids love to do puzzles and this is a nice, safe puzzle to make and give to toddlers. Easy to follow instructions for making this puzzle is found at Mommysavers. You could almost give a finger puppet to anyone as a stocking stuffer. That's true especially if the person receiving the finger puppets enjoys entertaining little ones with stories. You'll find the tutorial for this sure-to-please gift at the IDEA ROOM. 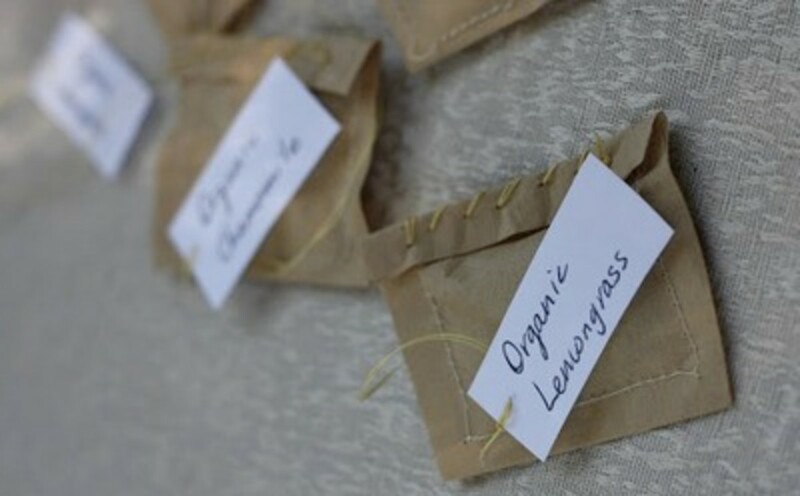 Any gal, no matter her age, would love lavender scented sachets to tuck into their dresser drawers or to hang in the closet. 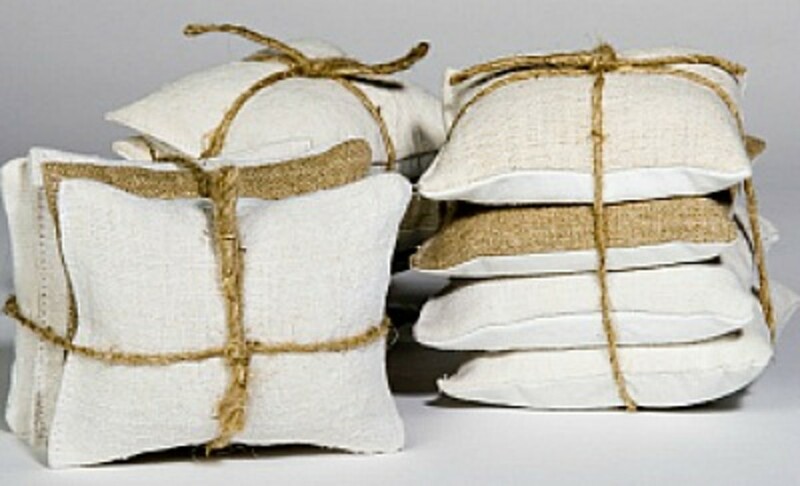 You can find the tutorial for making the sachets at saveoncrafts. Imagine how handsome the young man will look wearing a beanie crocheted especially for him. This brain wave beanie is a real eye catcher, and think of the color combinations that your guy loves, or the colors of a favorite sports team. 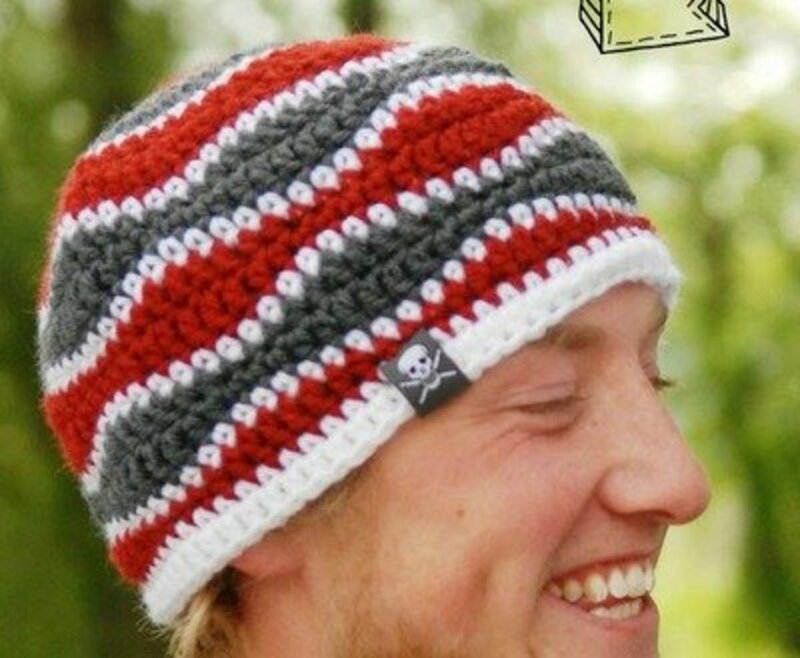 You can find the Free pattern for making this brain wave beanie at Playin Hooky Designs. I think the little boys, and girls too, would enjoy playing with this car caddy. The instructions on making this project are found at Six Sisters' Stuff. 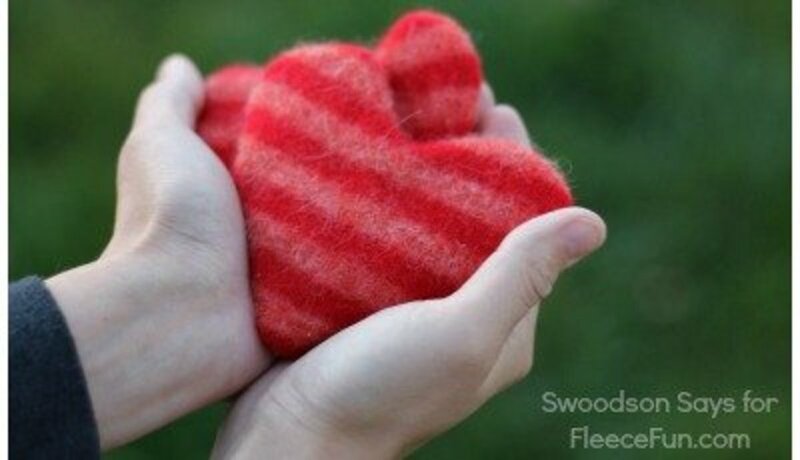 I like the heart shaped hand warmers, but nice square ones would be welcome too. 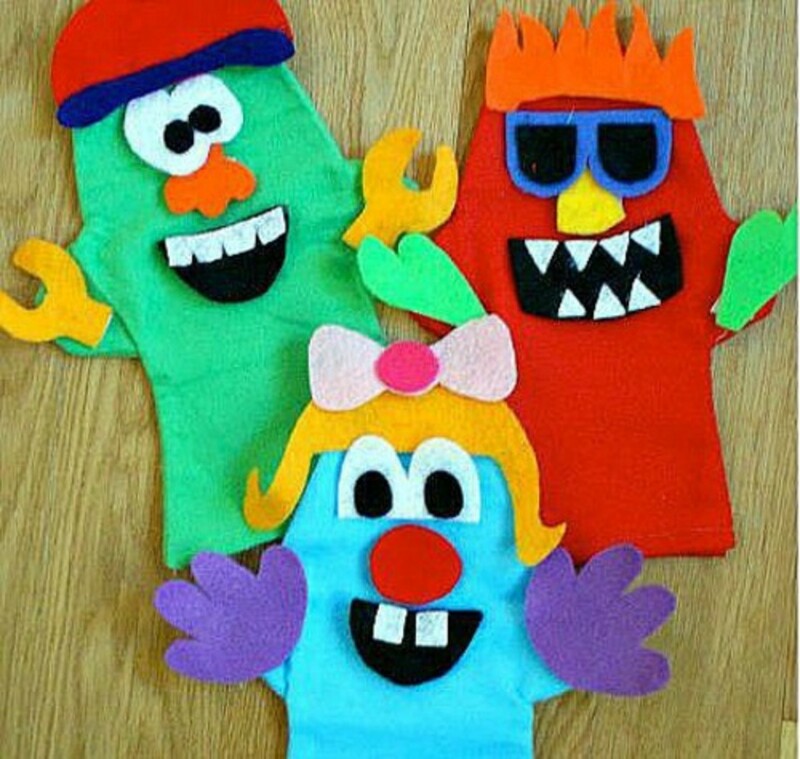 Fleece Fun.com has the directions for making these hand warmers. 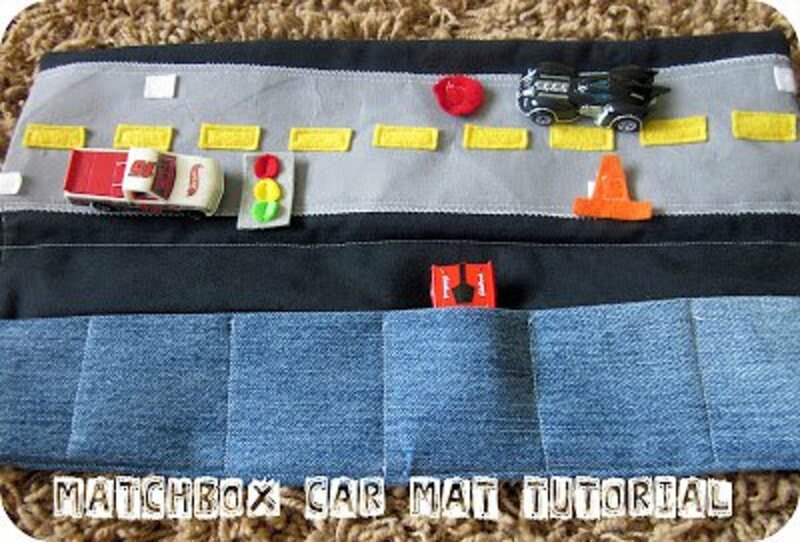 This is a great way to use up some of the fleece fabric scraps that are too nice to toss. See how this project is done, by going to the LIFE AS A THRIFTER site. 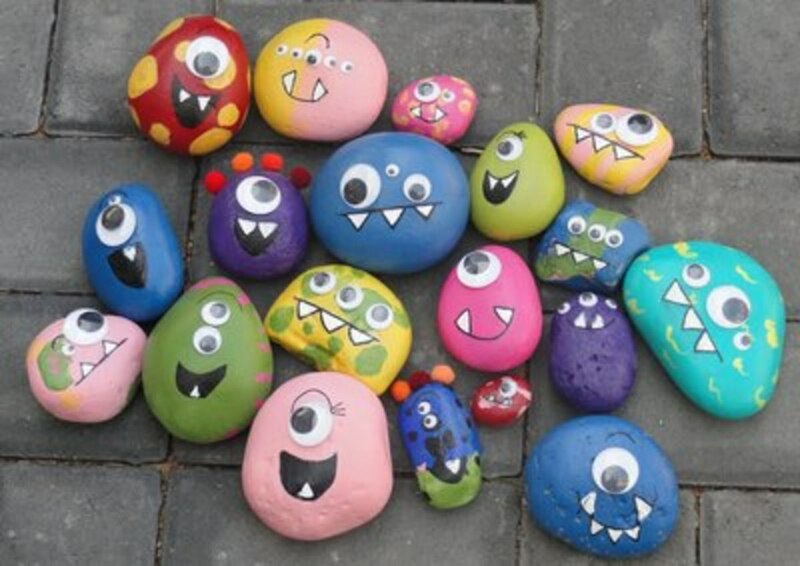 Kayboo Creations is where you'll find the directions for making these cute rocks. You can add a rock to each Christmas stocking, or place a bunch of these guys in a box for the person who deserves a "box of rocks" for Christmas. This is an especially thoughtful gift for a tea lover, who likes to try all flavors. The tutorial for this project, at Easy Peasy Organic , even includes a tea recipe, besides the instructions for making the tea bags. When the kids receive stocking stuffer gifts, that you can tuck into your purse and have handy when going out to eat or visiting, you'll appreciate the gift often. 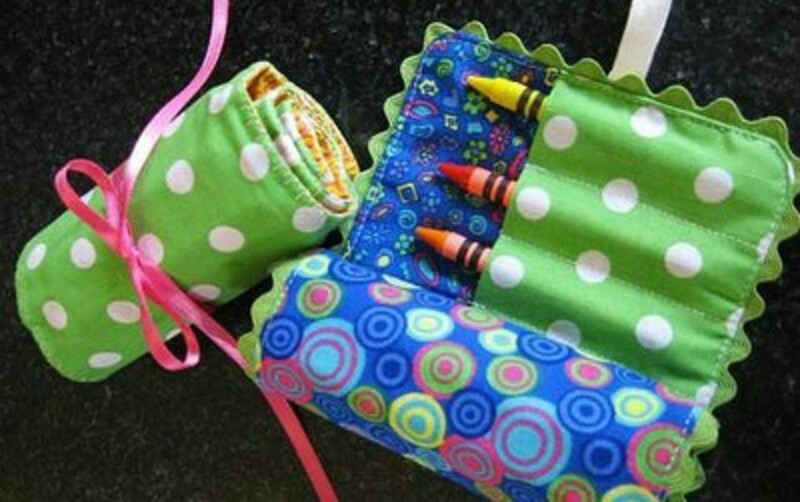 The instructions for making this crayon roll up are found at Skip to my Lou . 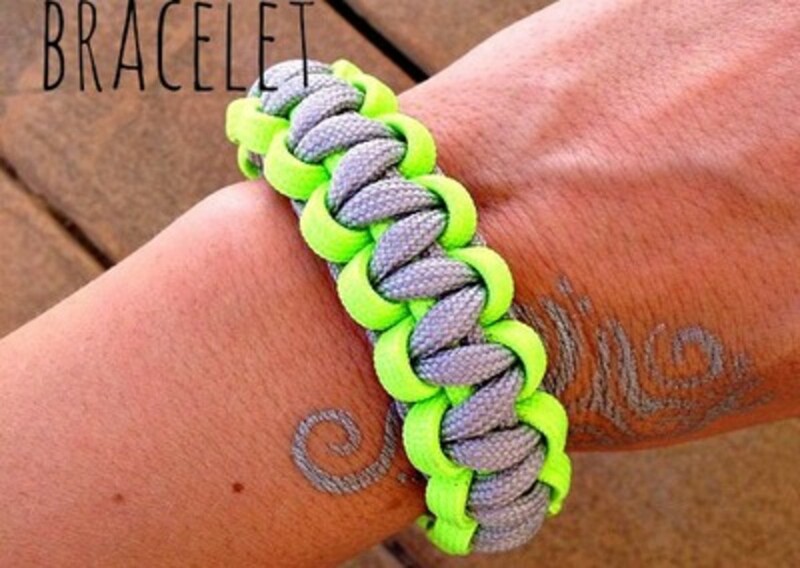 A paracord bracelet is a nice gift for a teen boy or young man. 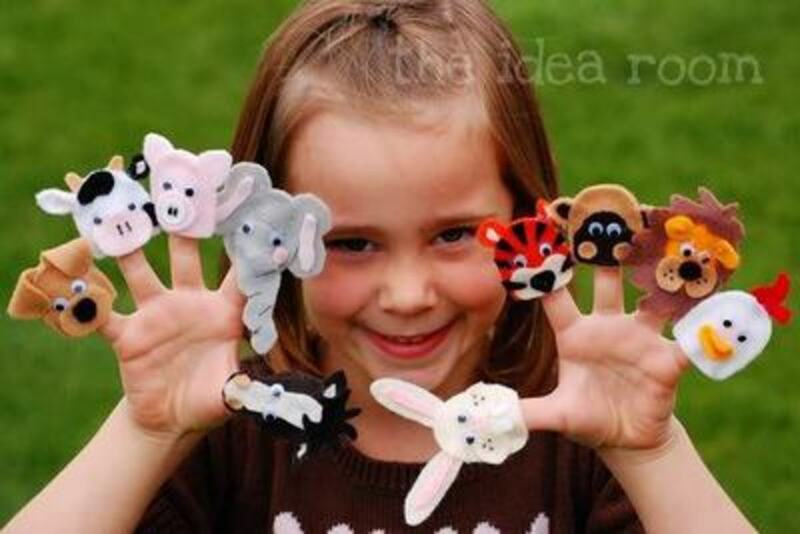 The project is easy enough to make following the tutorial that you'll find at A girl AND A GLUE GUN . This cording is available in many colors so you can make them for a lot of friends. I'm sure many would like the bracelet in their school colors. The glass tile pendants look a lot harder to make than they actually are. I love the ones with the photos. But the fabric and paper ones are outstanding also. 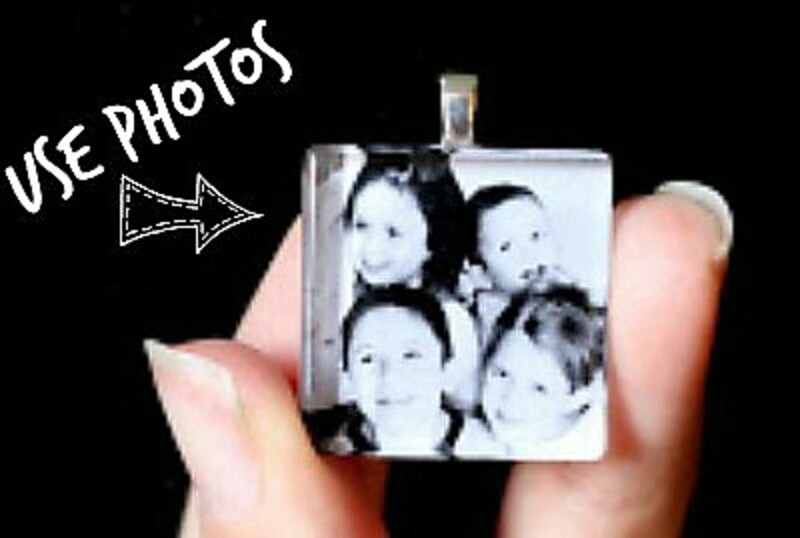 You can find the instructions for making these pendants at SUGAR BEE crafts . Find the instructions for making a Jacob's ladder at Handmade Charlotte. I don't know anyone who would be disappointed finding this in their Christmas stocking. All the guys, girls and kids will love this one. 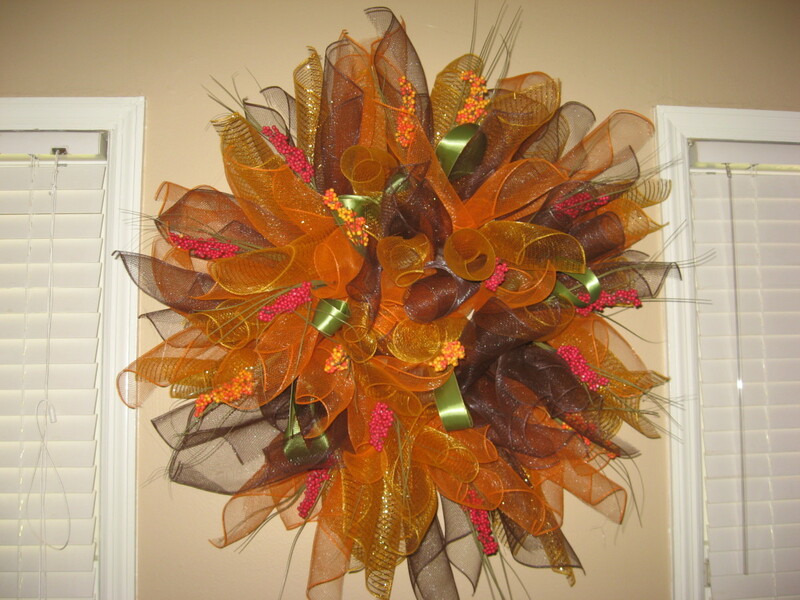 Find the tutorial for making this item look so great at Patti Cappell Designs. 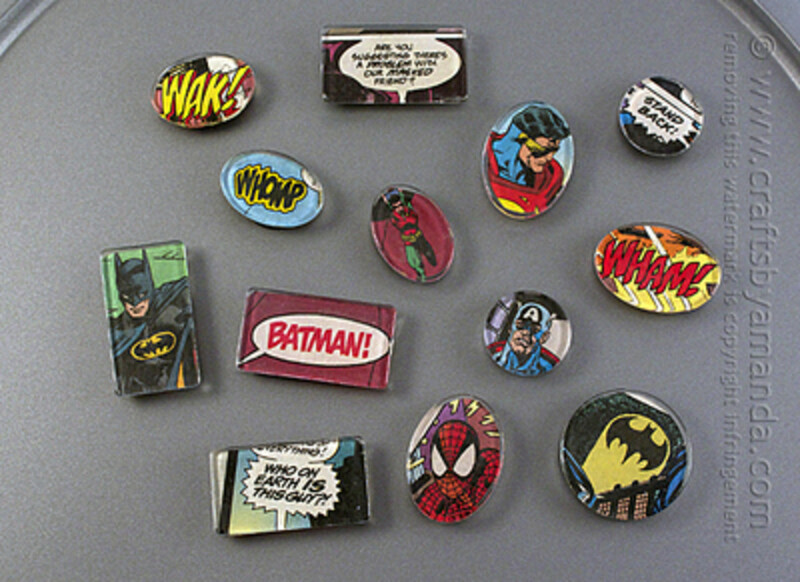 You'll have as much fun making these magnets, as anyone will be to get them. Use comic book characters or sayings from the comic books you love. The possibilities are endless here. Find the tutorial for the craft project at CRAFTS BY Amanda . Candy cane mice are always a good addition to the Christmas stockings. 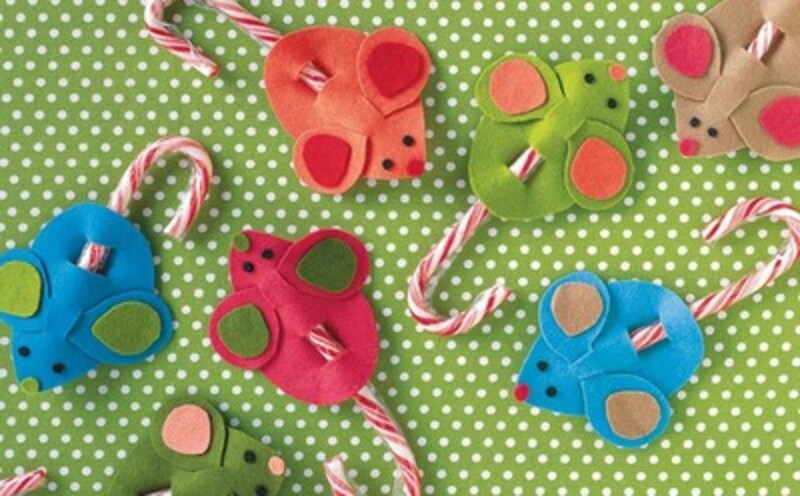 Many folks love the peppermint candy canes and the felt mice are so simple to make. The directions are found at Martha Stewart for this craft item. 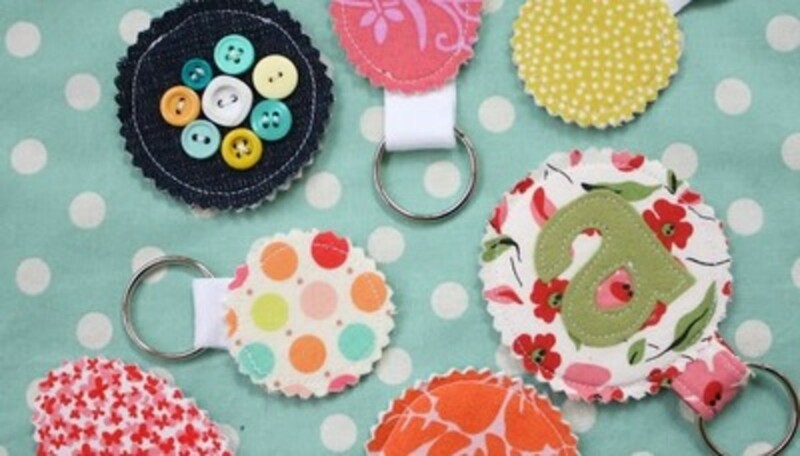 Get out your stash of fabric scraps to make these key chains. You know how you love the different fabrics and combinations of fabrics, so have fun and make stocking stuffers at the same time. 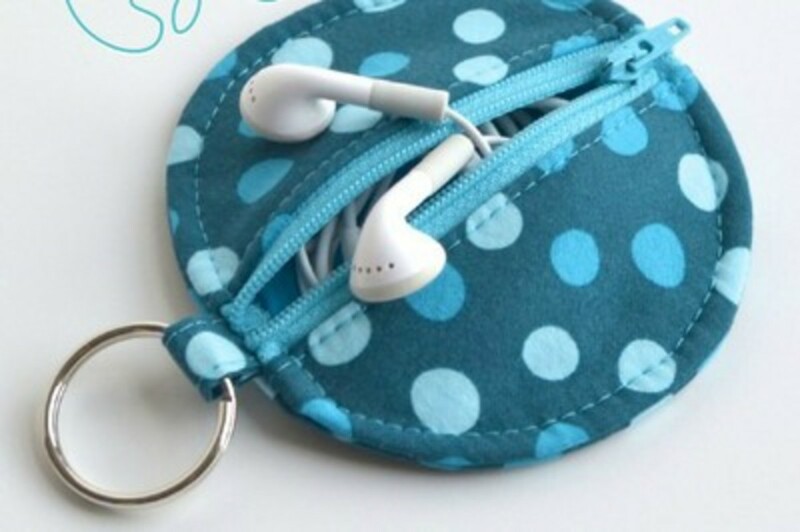 The tutorial for making these fabric key chains is found at CRAFTINESS is not OPTIONAL . These word bead bracelets are super easy to make and make terrific stocking stuffer gifts. 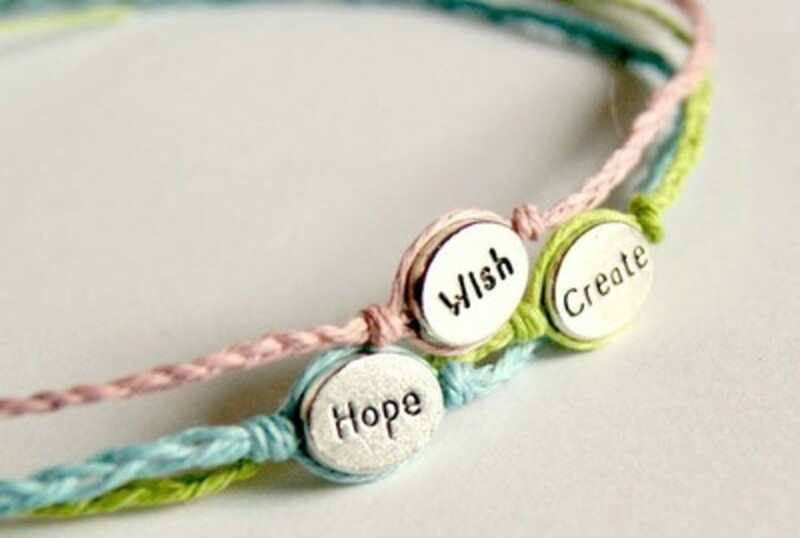 You'll find the tutorial for making these bracelets at HAPPYHOURPROJECTS. These are a double duty stocking item. 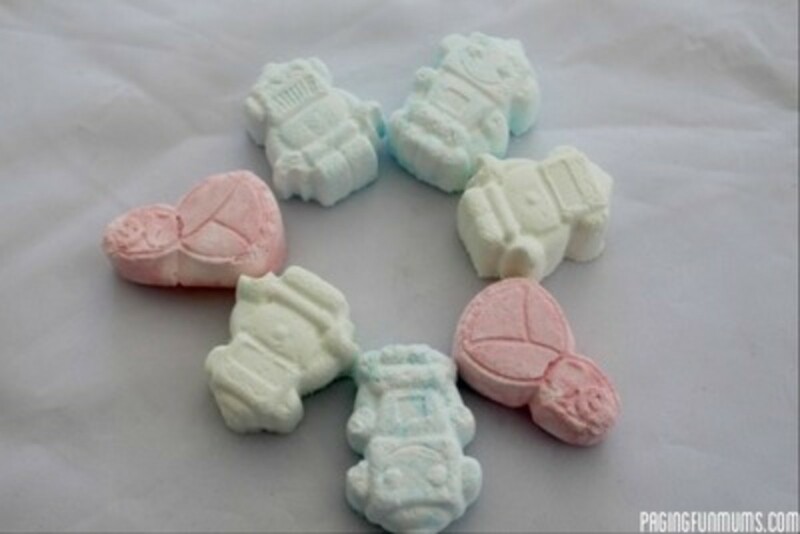 They are cute ornaments, and tasty chewing gum for later. 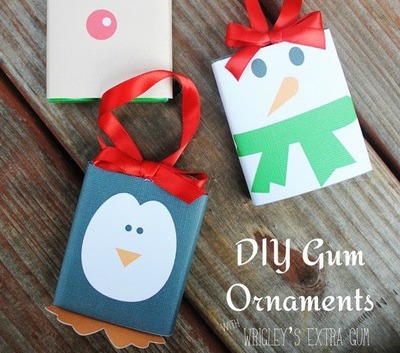 The instructions and printables for these gum ornaments are found at Wee Share. These patterned tights are easy to make by following the instructions you'll find at Crafts Unleashed. The guy or gal who receives these luggage tags will find it much easier when looking for their luggage at the airport. These nice colorful luggage tags make finding your bags easy. You'll find the tutorial for making these luggage tags at Project Naptime. This is the perfect gift for coffee drinkers that like to have their coffee hot. The cozy not only protects your fingers from the hot coffee cup, but also keeps the heat in the cup. 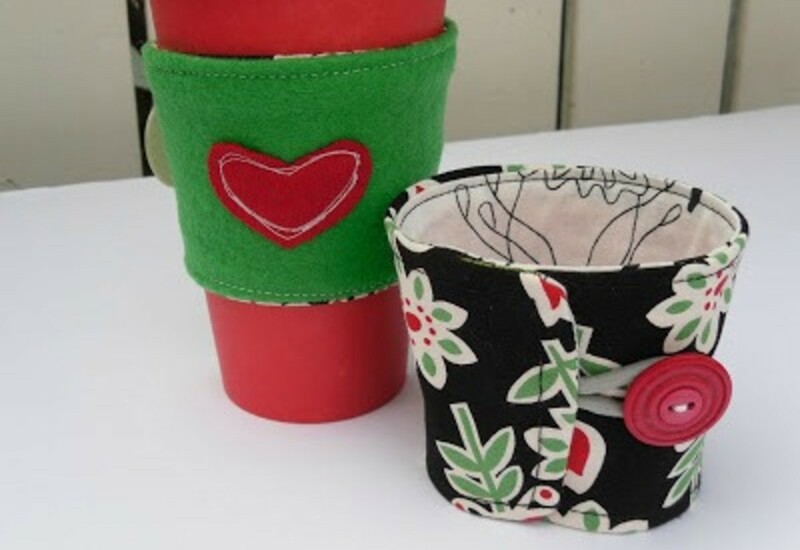 The directions for making a coffee cozy is found at the THE SEWING DORK site. This little doll in a matchbox is Jack from the Beanstalk story. 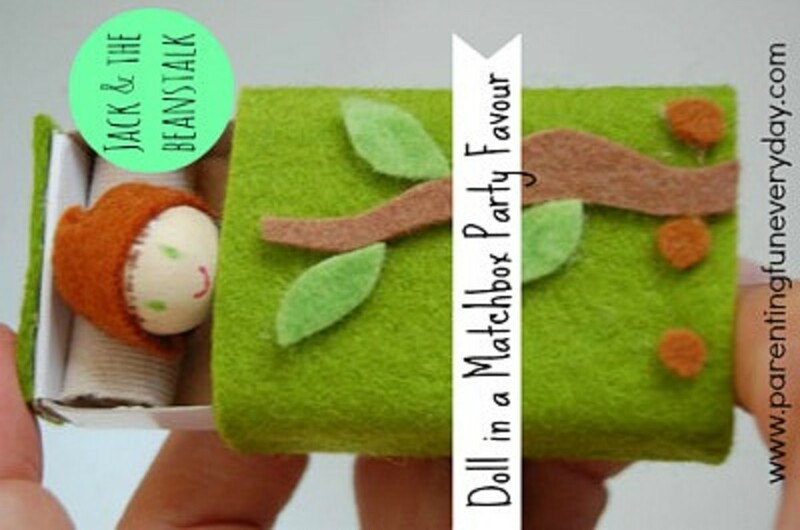 Follow the instructions at HAPPY CRAFTY FAMILY for making this and other dolls in a matchbox. 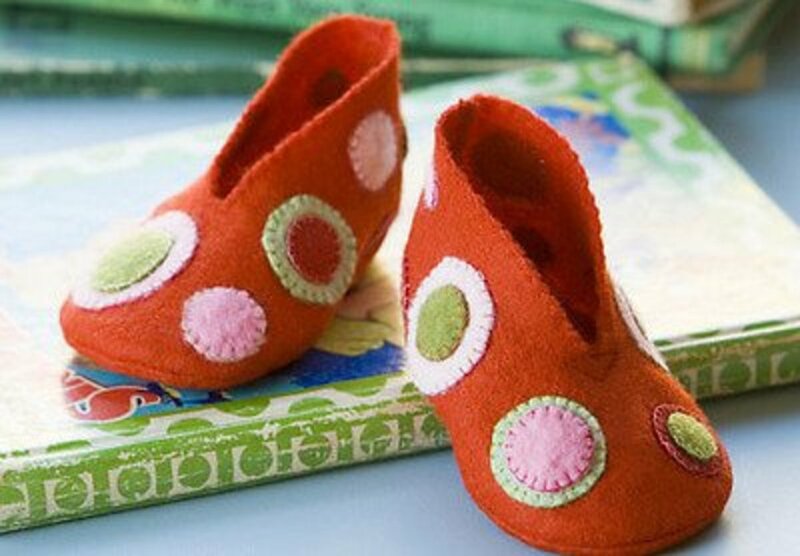 A cute little girl or boy stocking stuffer gift. 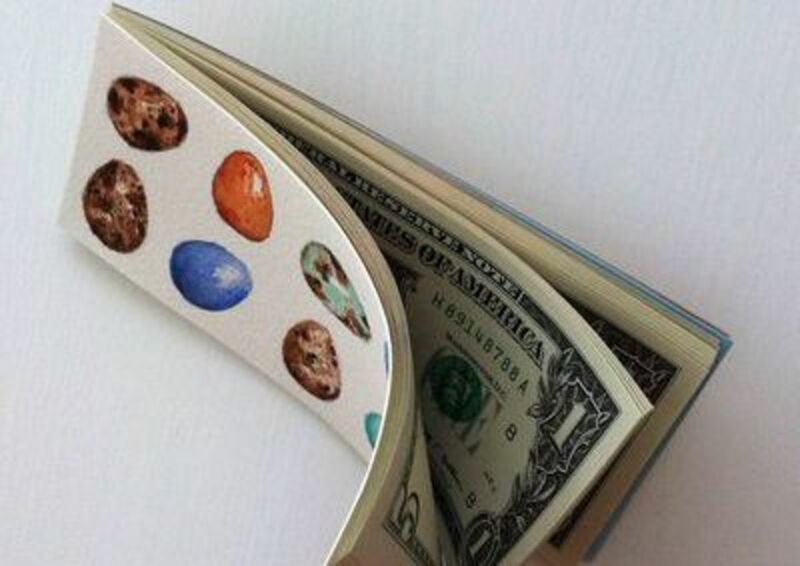 Here is another really sweet idea for a gift to put in any ones stocking. The little one inch wooden cubes can be purchased in a bag that you can make more than one gift. You'll find all the information that you'll need to make this stocking stuffer at the IDEA ROOM. 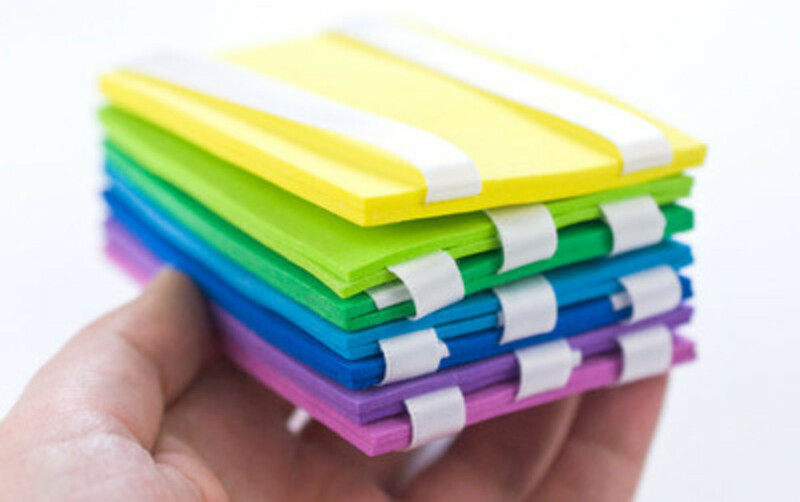 I like this easy to make paper candy pouch idea, and I think I'd probably get a few Christmas stickers to add to the little pouches. 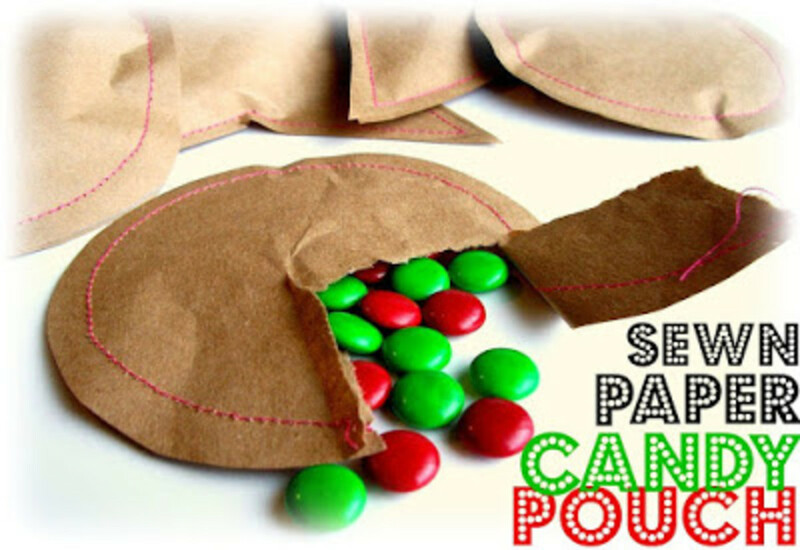 The instructions for sewing these paper candy pouches is found at PEPPERMINT PLUM . 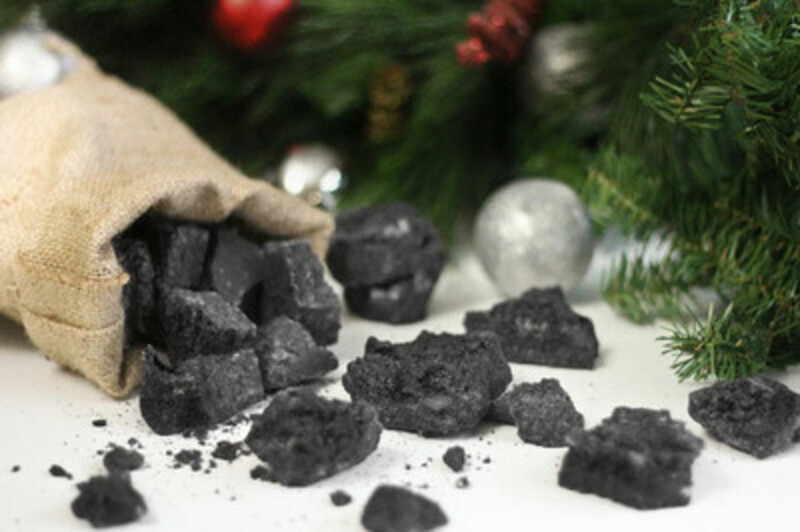 This is the only kind of coal that I would dream of putting in a Christmas stocking. And, it really is a cute gag gift, that even tastes good. Find the recipe and instructions for wrapping the coal at Sprinkle Bakes. Choose the right fabric print and color and you can give an ear bud pouch to anyone on your Christmas stocking list. You'll find the pattern and instructions for making this pouch at DOG UNDER MY DESK . 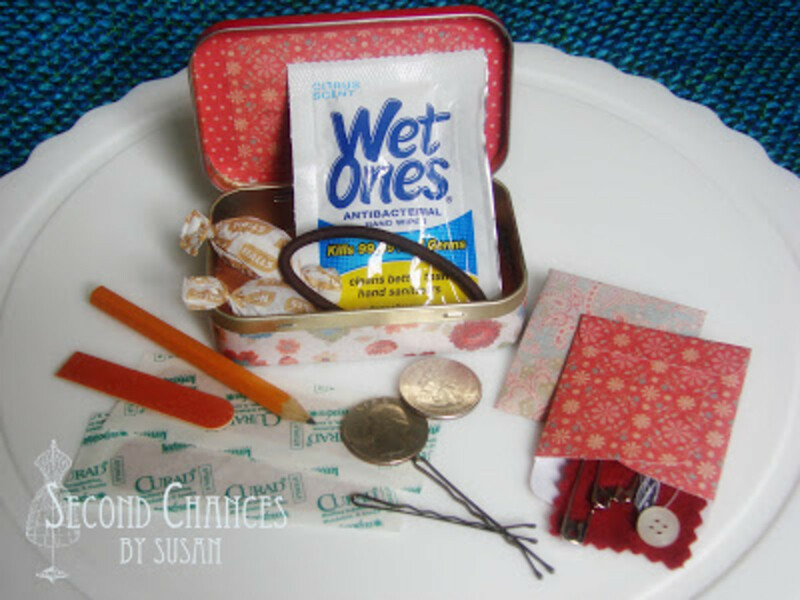 You'll find other ideas for what to put in the emergency kit also when you go to SECOND CHANCES for the tutorial. This is an item that could also be kept in the car or in a locker. 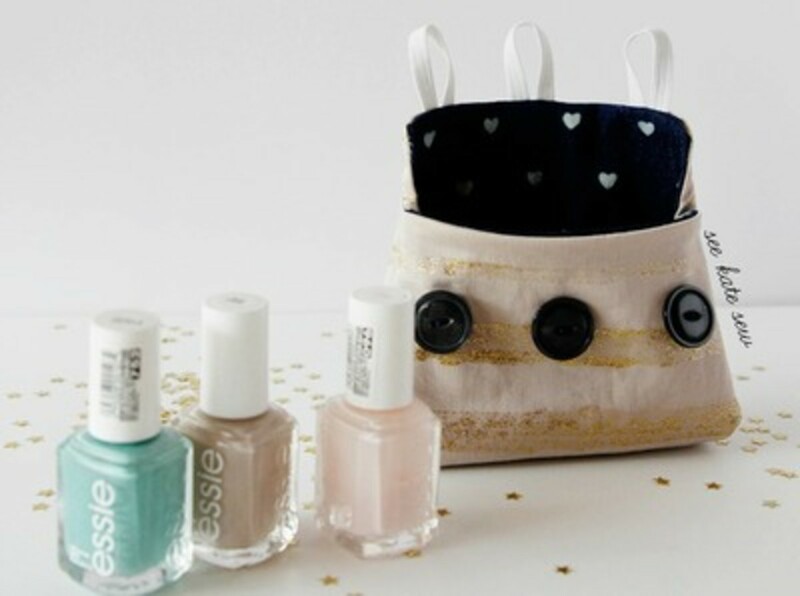 The little container that the nail polish bottles are put in has glitter added to make the little kit extra special for any girl you give this to. 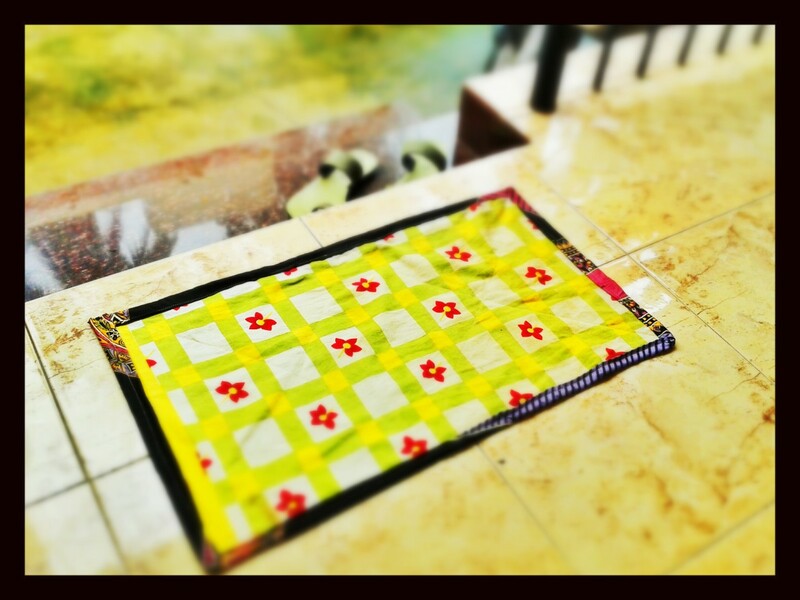 Find all the information on how to make this gift at SeeKateSew. How is this for a switch. You give the batteries, but not the toy. A great gag gift, that is still useful because you can never have too many batteries. 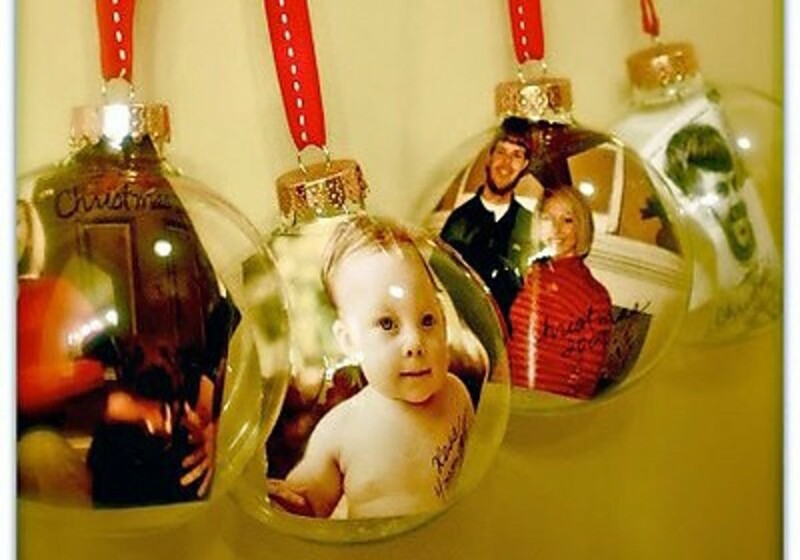 This cute idea comes from lovetoknow Christmas. Check this out for more gag gift ideas. 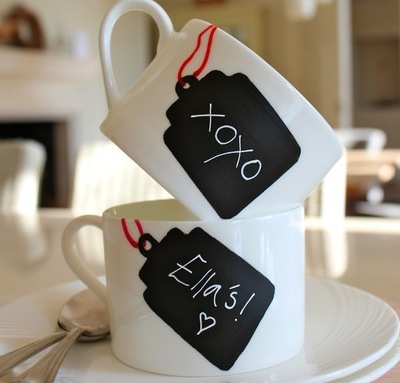 Depending on who's stocking you are tucking this mug in, write a personal message to them. Find the tutorial for making this mug at Kate’s Creative Space. She also has tips on how to get nice straight edges on the chalk board paint tag. Think of all the ways that key chains can be used, by any aged person. 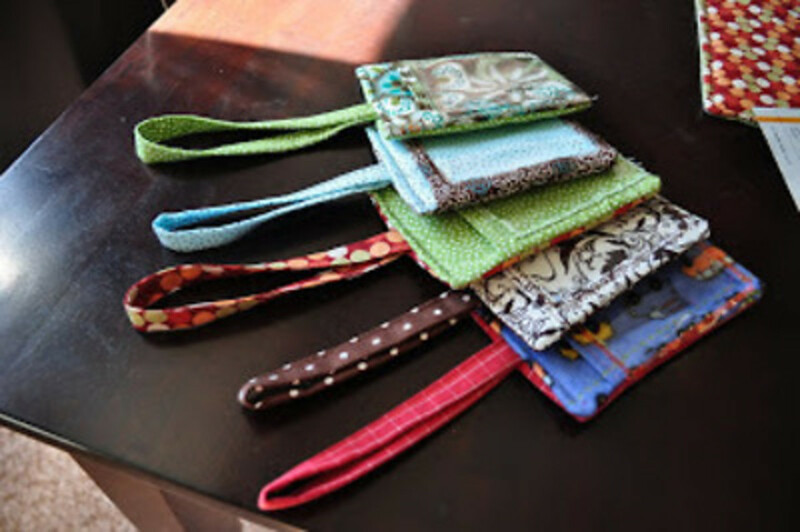 Kids can use them on their school backpacks and coin pouches. House keys and car keys. Boat, Jeep, pickup, RV, 4 wheeler, etc. You get the idea. 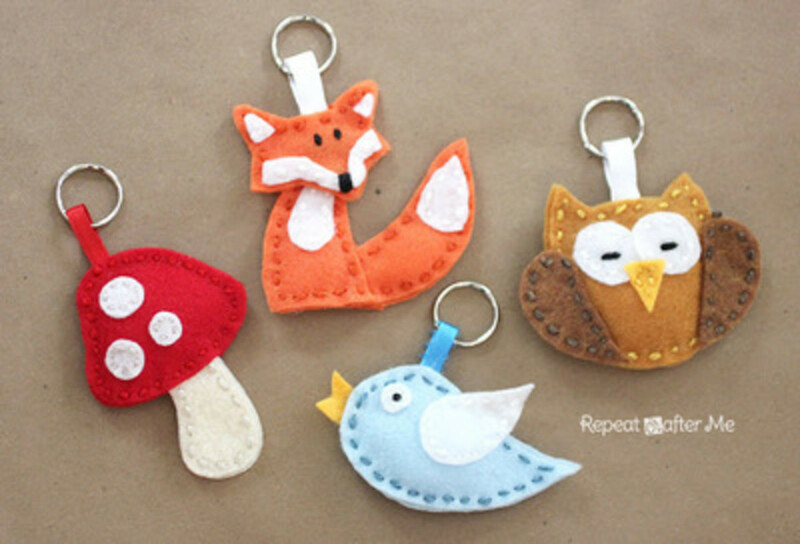 The tutorial for making these key chains can be found at Repeat crafter Me. Thanks, agusfanani, for your visit and your comment. I hope you do try the doll in a matchbox. It would make such a cute stocking stuffer. I learn great ideas from your post. I'd like to try to make doll in matchbox. Thanks, Diana Lee, for the up vote. Hi peachpurple. 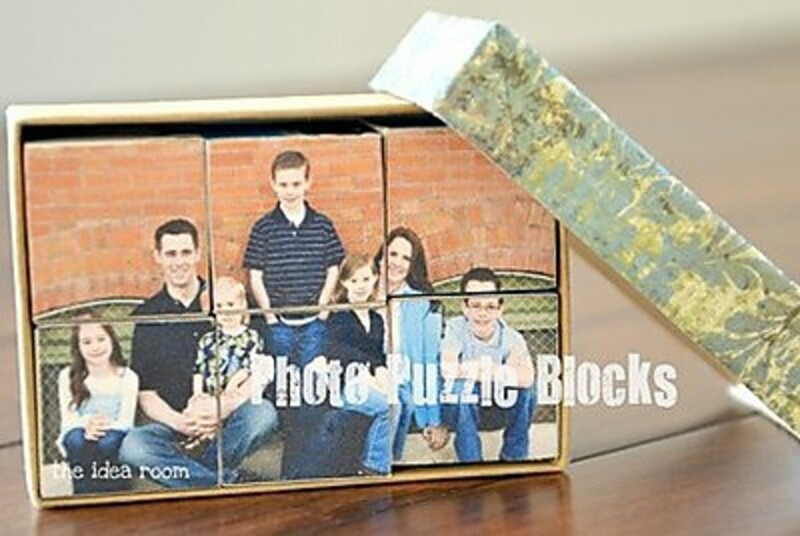 The matchbox craft really is a neat idea. It would be so easy to make it for any story book character. 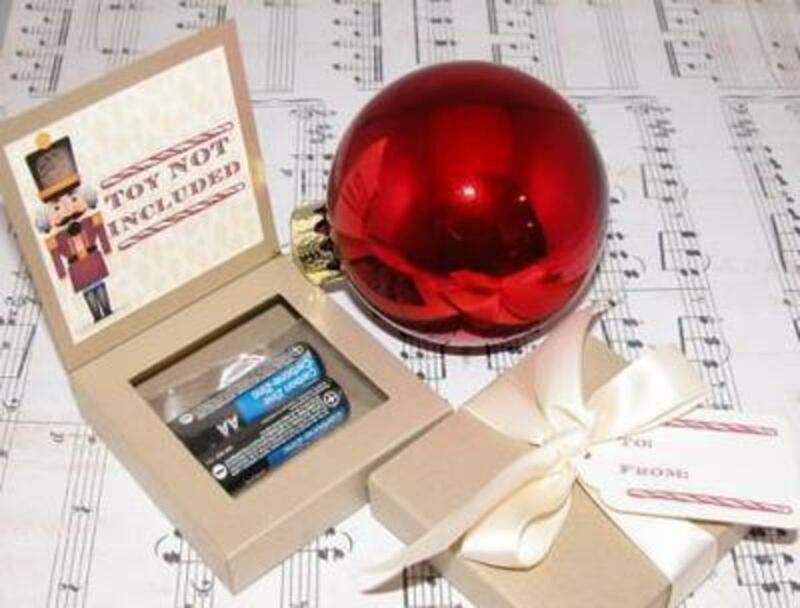 I like the Not Toy Included gift! It looks like there are many fun projects here. Voted up.